Paul J. Smith, M.D., received his Bachelor of Arts degree in Biochemistry from Rice University in Houston, Texas, and earned his medical degree from Baylor College of Medicine. He completed his residency at The University of Texas Southwestern Medical Center in Dallas, Texas. Dr. Smith sees patients 14 years old and up. He treats all urologic conditions but his clinical interests include robotics, oncology, and reconstructive and prosthetic urology. Thoughtful and informative, Dr. Smith considers himself a patient advocate. “When a patient comes to see me, I express to them that we have many options through this process and we will find the one that best fits their needs. I want my patients to leave the office knowing they received an honest opinion and have a clear understanding of what the treatment entails,” said Dr. Smith. Although many aspects of practicing urology are rewarding, Dr. Smith enjoys seeing the happiness in his patients’ eyes when they have made the right choice for a treatment plan. In his spare time, Dr. Smith enjoys spending time with his family, playing the guitar and piano, and exercising. 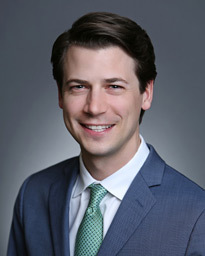 Paul Smith, M.D., practices at Memorial Hermann Medical Group Katy Urology and Memorial Hermann Medical Group Memorial City Urology.